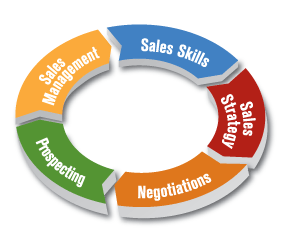 Originally published November 7, 2009 on my original blog, Sales Training 2.0. Over the last few months I have been having more conversations with small training firms as well as people thinking about hanging out a shingle as a sales trainer. In addition to talking about key issues like their Exit Strategy I have, almost without fail, brought up the challenge of how they talk about what they do with their prospects in a simple and concise manner. Disclaimer: Working closely with a company that does sales messaging (Force Management) influences my bias to the importance of this area. When I was at OnTarget/Siebel Systems I worked for an executive, Nick Nascone, who was fond of talking about Big Animal Pictures¹. Big Animal Pictures in the training world are the graphics that you use to talk about your business – and can be represented on a Powerpoint slide or hand drawn on a whiteboard, flip chart or napkin. 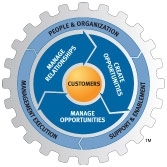 Think about the areas you impact when you serve customers. 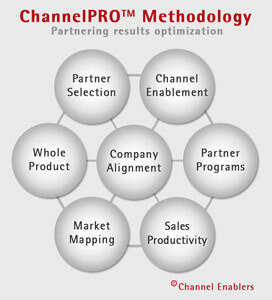 How do you implement your solutions – is there a process or methodology you follow for implementation or change adoption? How are you different from your nearest competitors? Can my salespeople easily articulate this with a pen and a blank piece of paper? Is this clear enough that my current customers would agree this “sounds like you”? Does this look identical to how your competitors describe themselves? Get outside advice on your Big Animal Pictures and investigate how others describe themselves – in the training world and in your customer base. Feel free to contact me if you’d like me to give you input on your ideas. ¹ The original Big Animal Picture book was published in 1903 and contained big color pictures of cats, dogs and cows. We haven’t made much progress in 100 years.